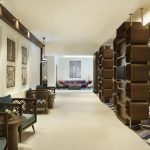 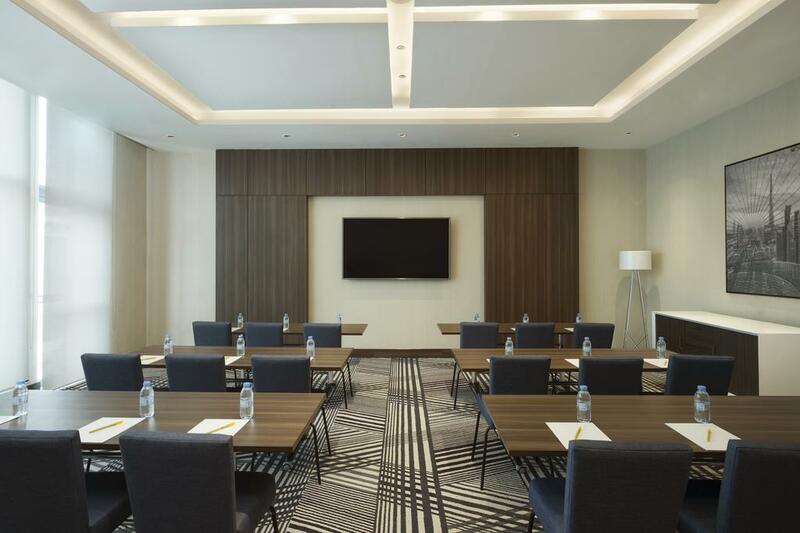 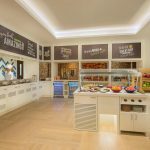 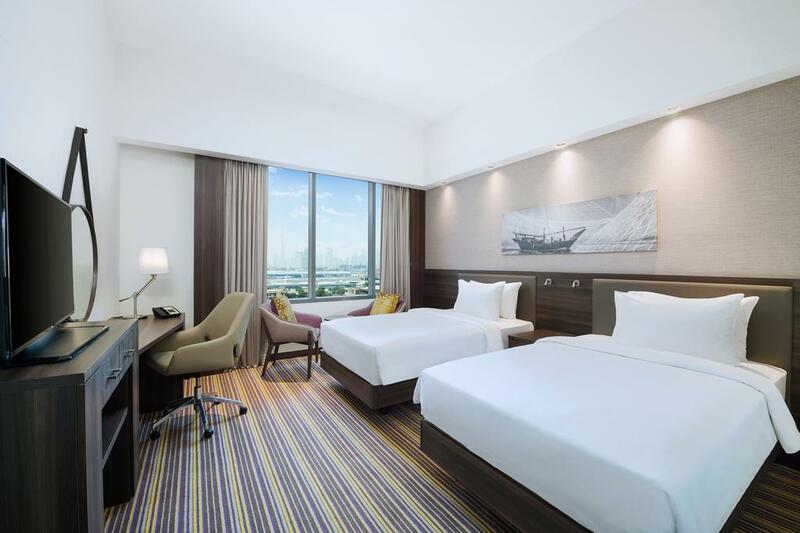 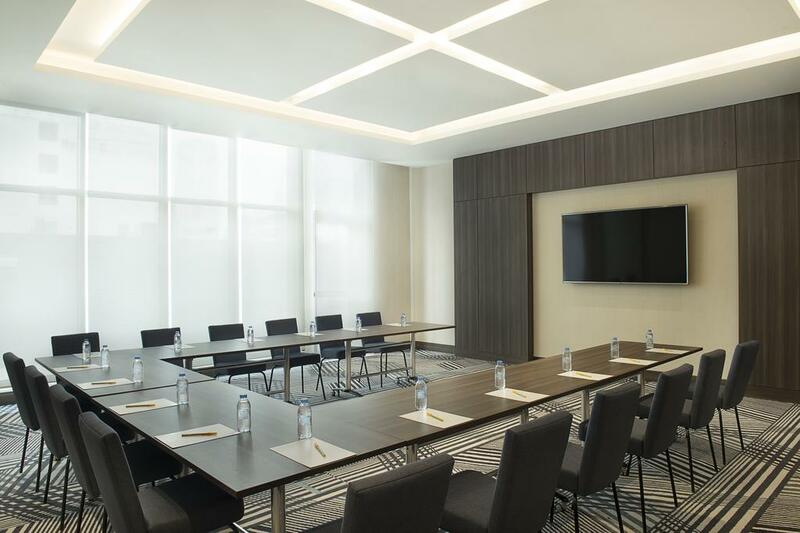 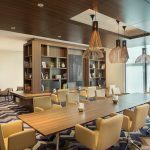 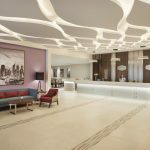 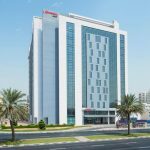 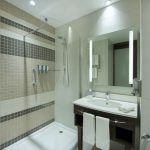 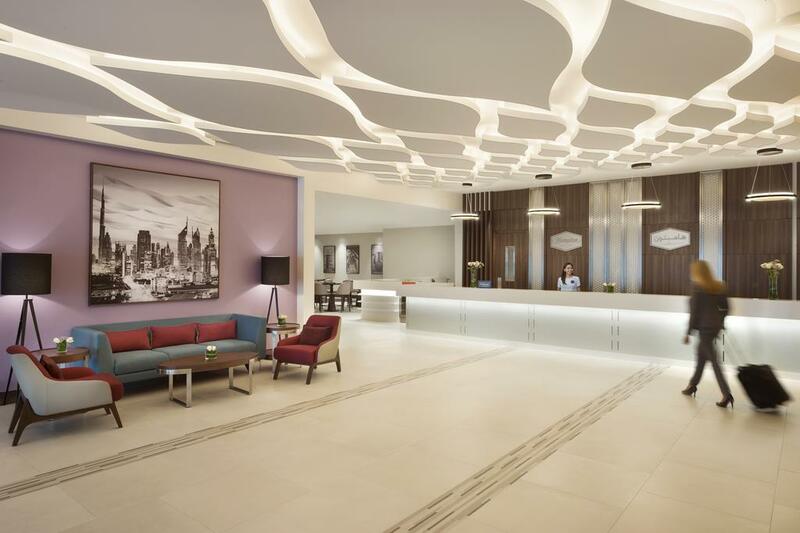 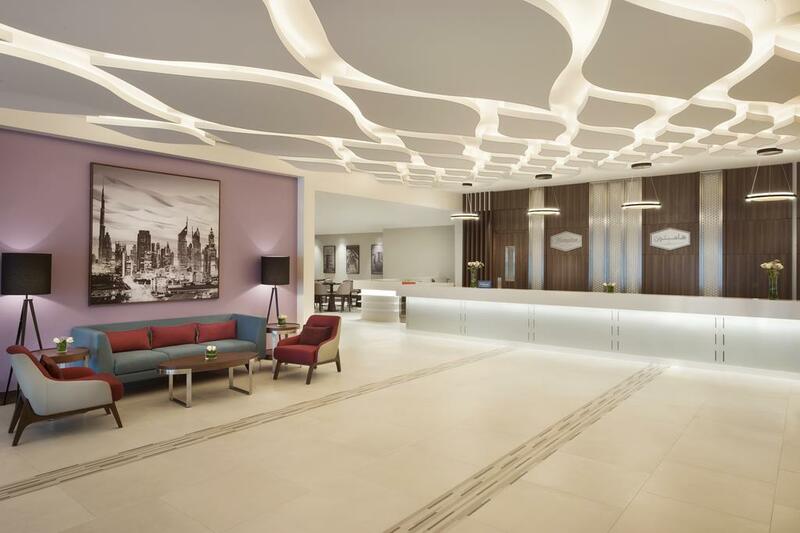 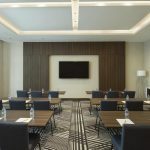 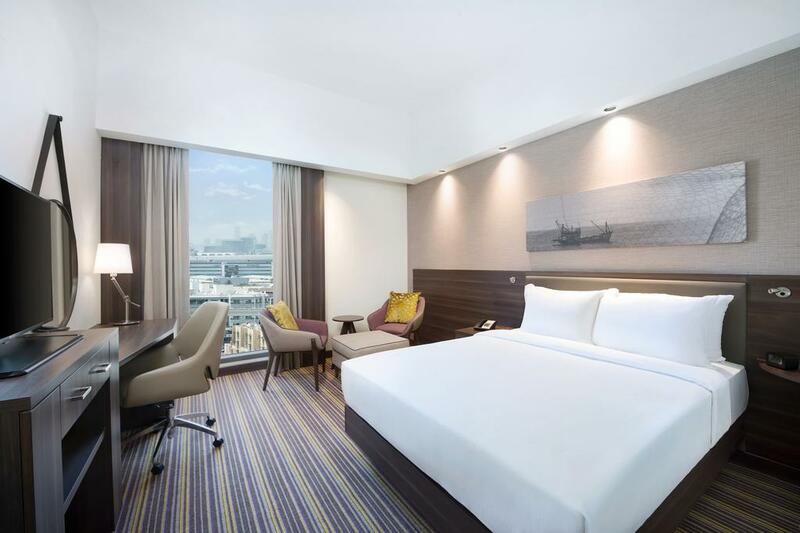 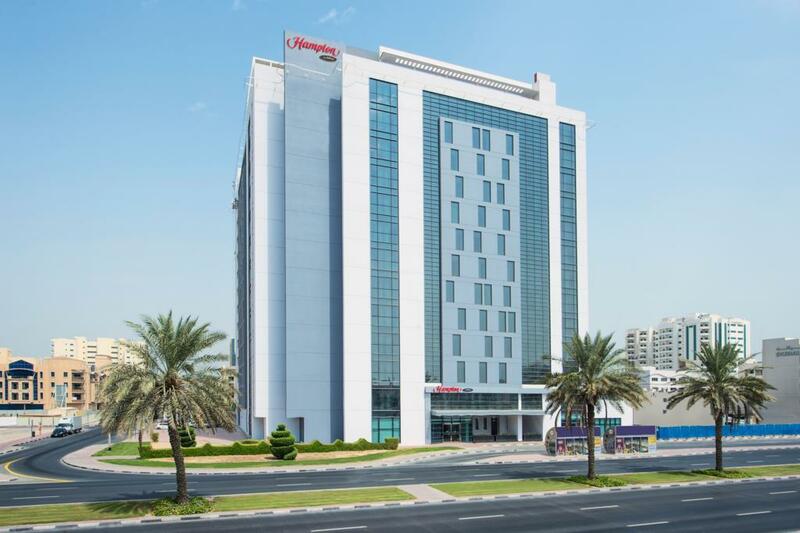 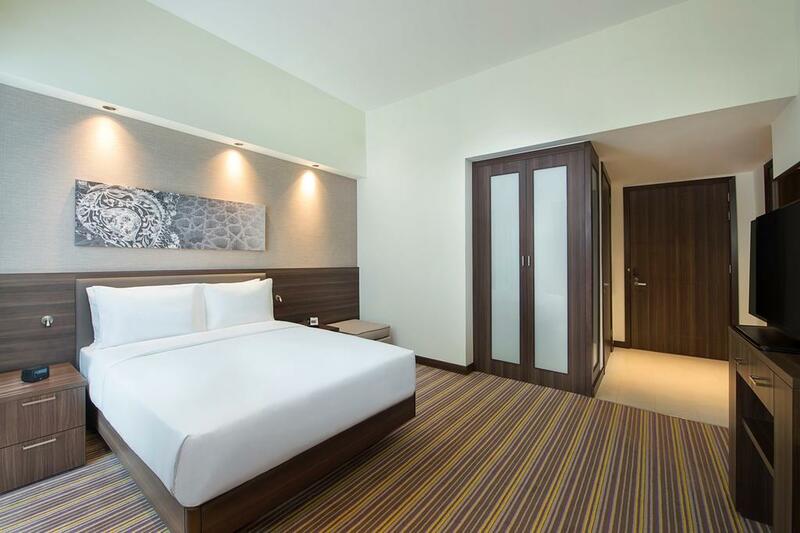 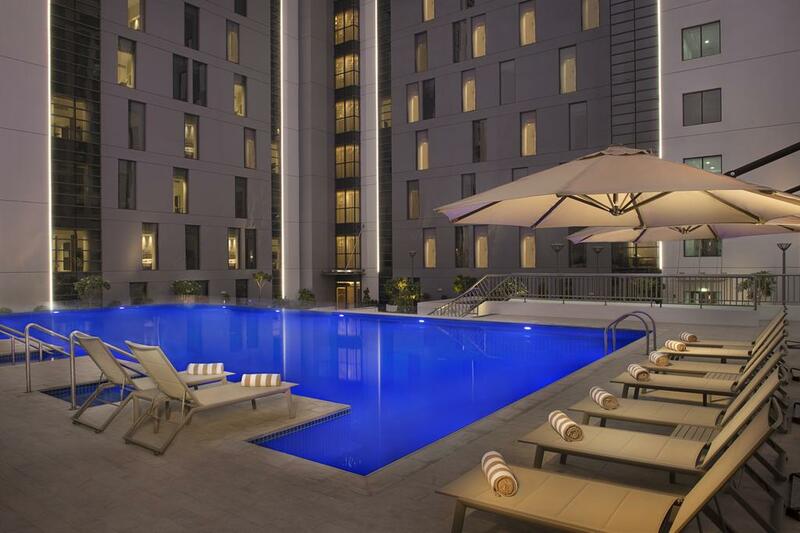 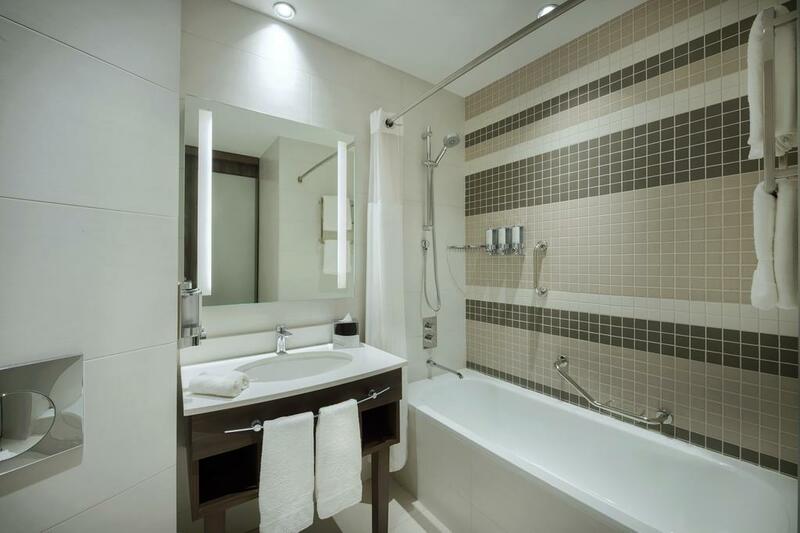 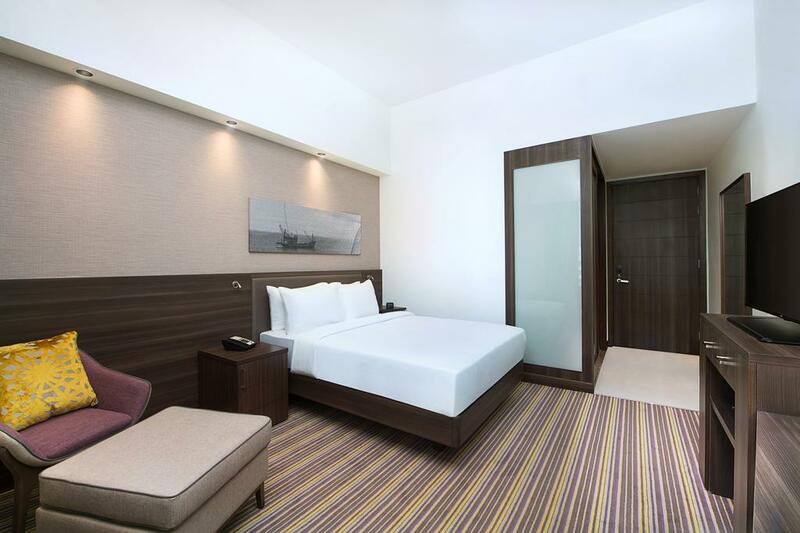 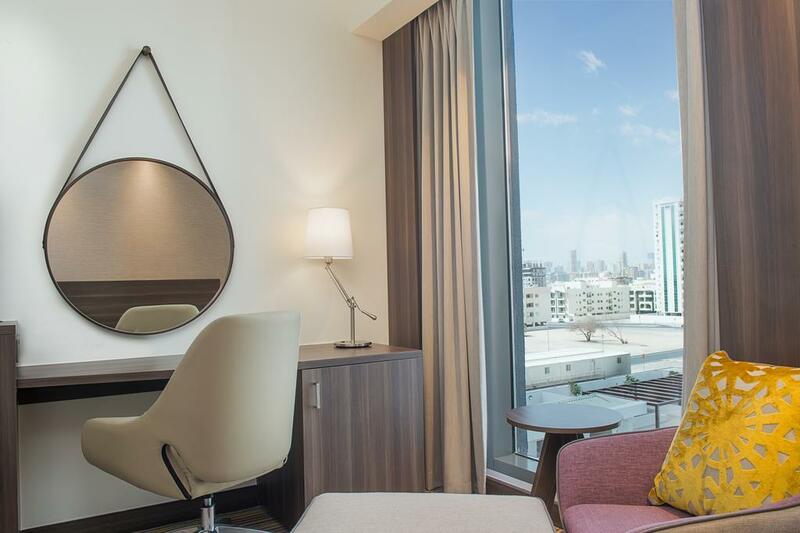 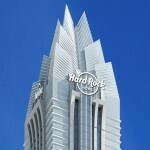 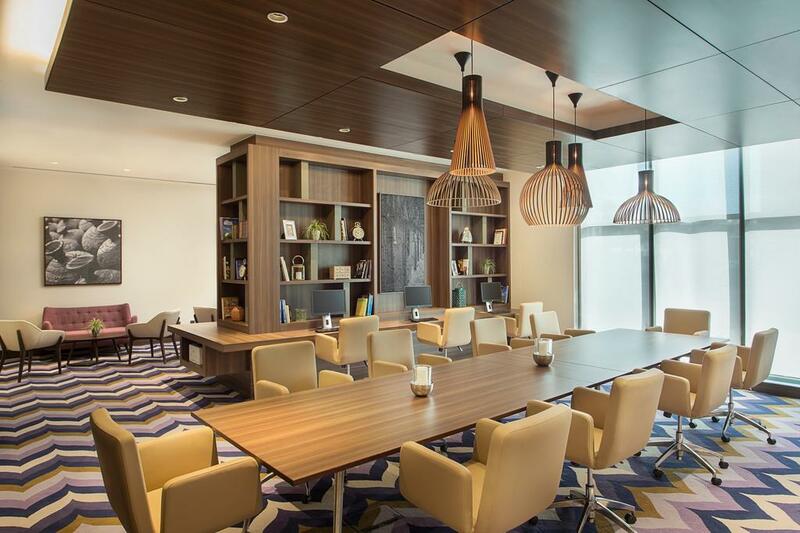 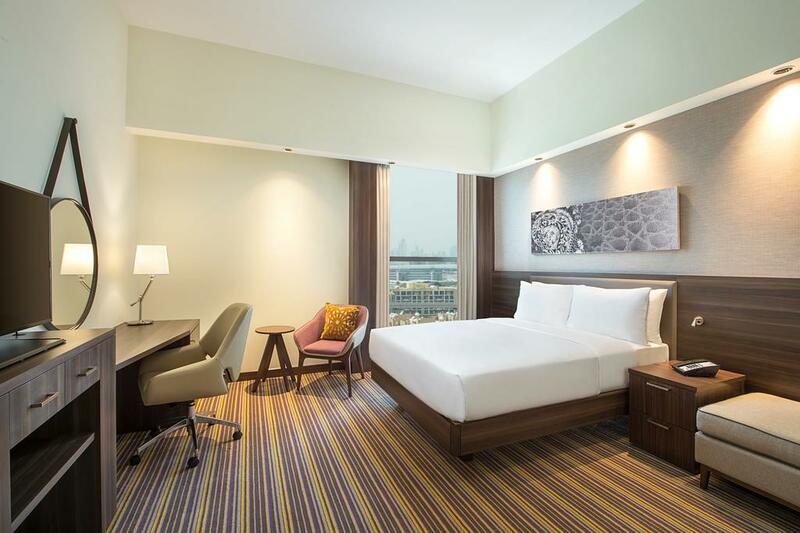 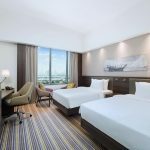 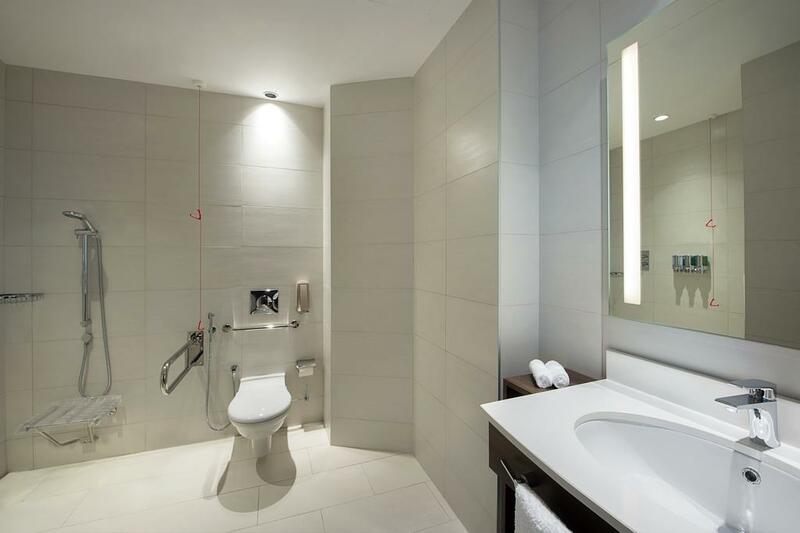 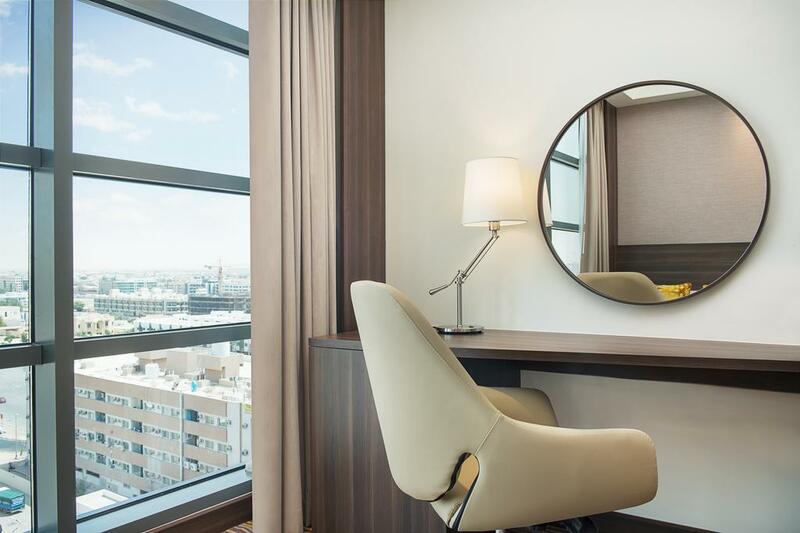 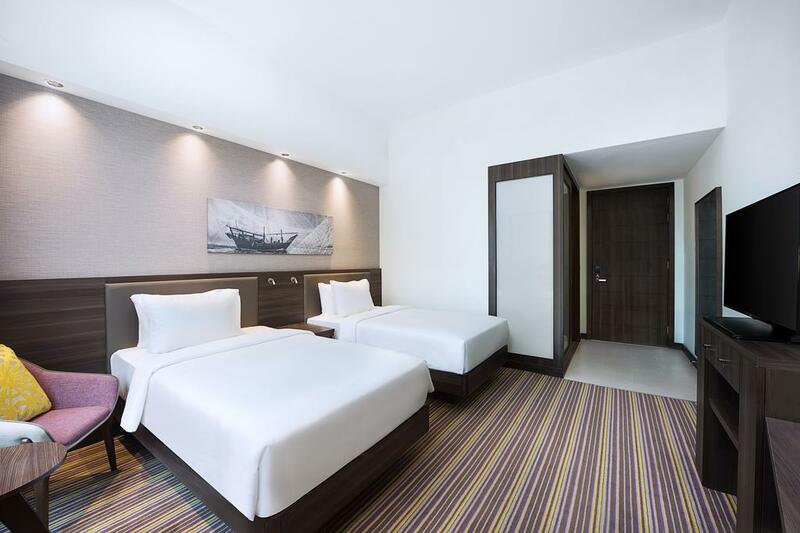 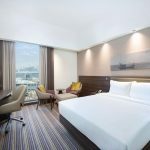 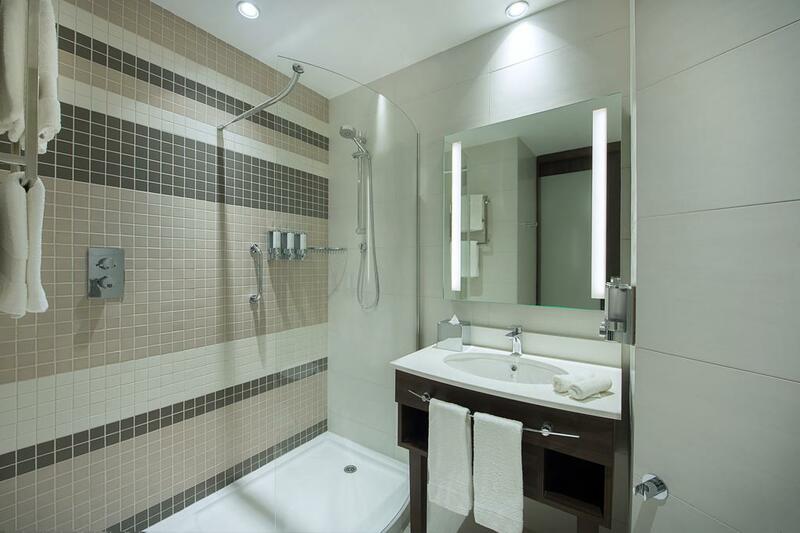 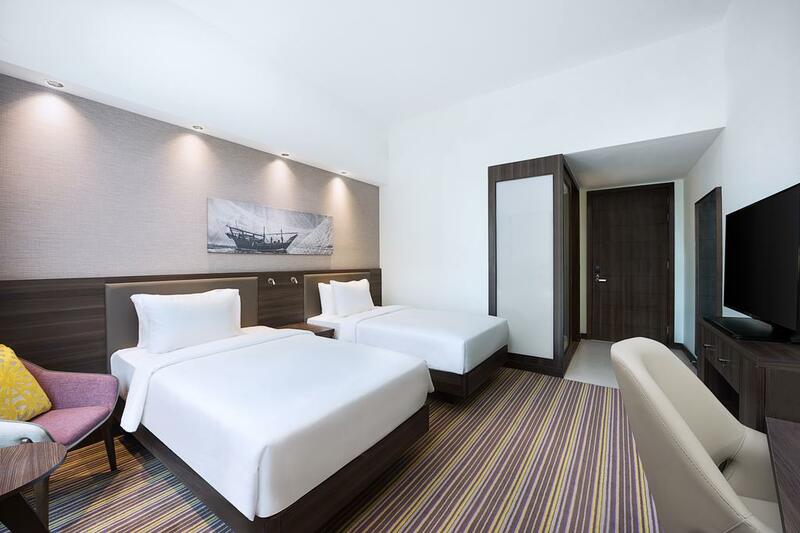 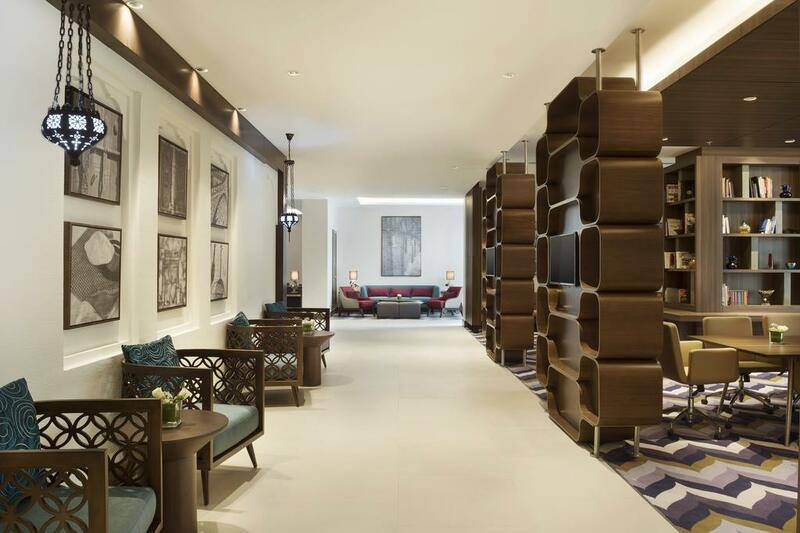 The Hampton by Hilton Dubai Airport is a brand-new, contemporary hotel close to Dubai International Airport. 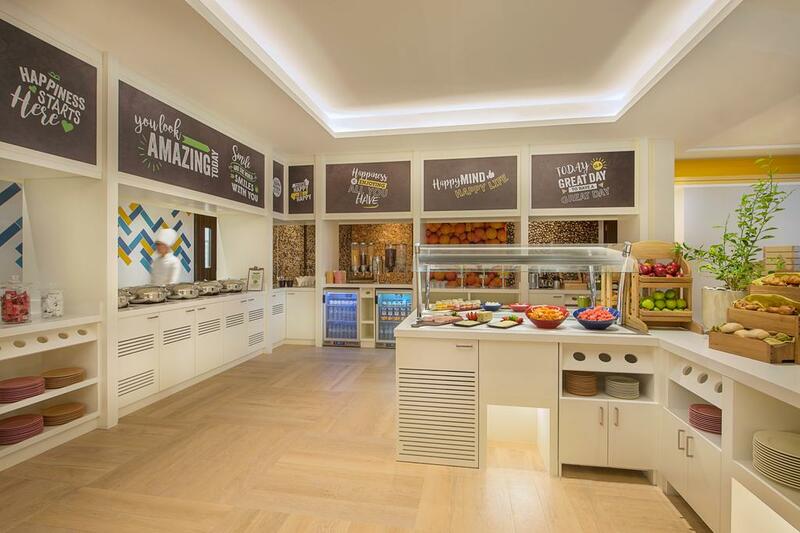 Start each day with a free hot breakfast, then enjoy the flexible work and social zones in the warm and welcoming lobby. 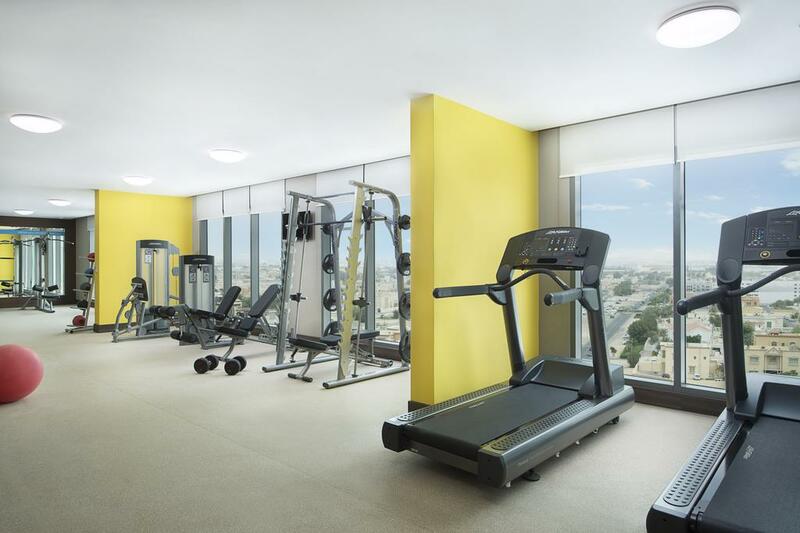 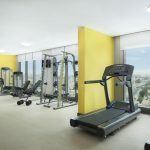 Work out in the fully equipped fitness center, or go for a dip in the temperature-controlled outdoor swimming pool. 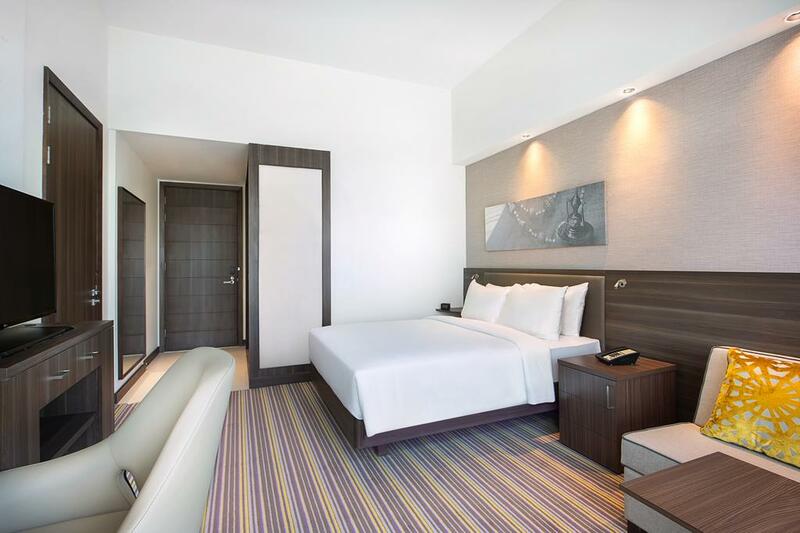 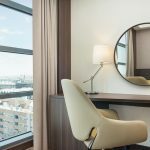 The hotel rooms are fresh and modern spaces, with a mini-fridge, tea and coffee making facilities, and a work desk with ergonomic chair. 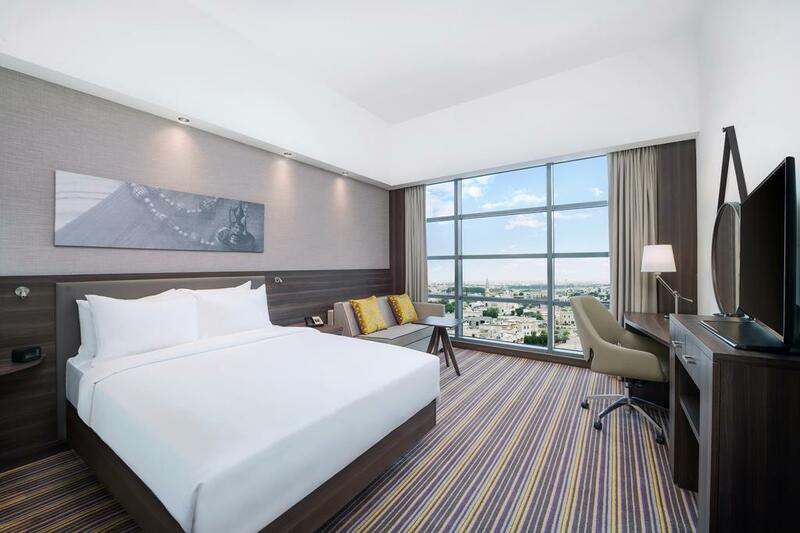 Feel rested after a great night’s sleep on the clean and fresh Hampton bed®, and stay connected with free WiFi throughout your stay. 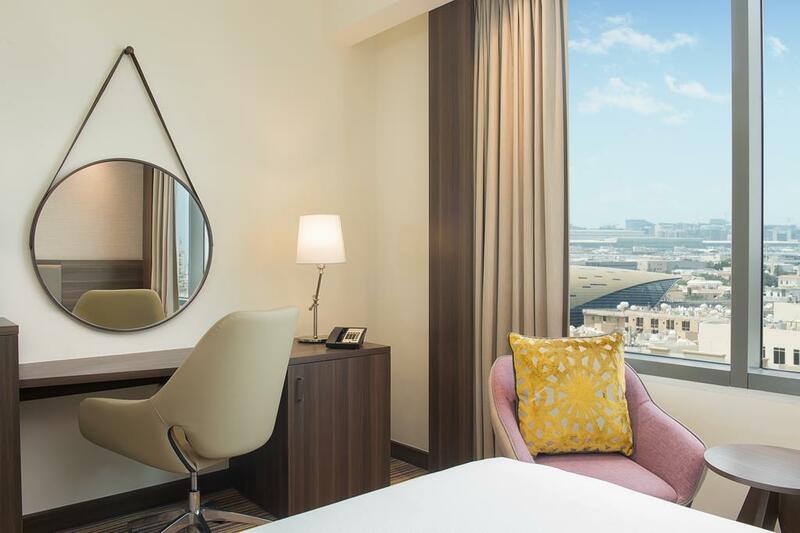 Enjoy the complimentary shuttle service to the all terminals 1,2 & 3 at the Dubai International Airport, Dubai Airport Freezone, the historic districts of Old Dubai and La Mer Beach. 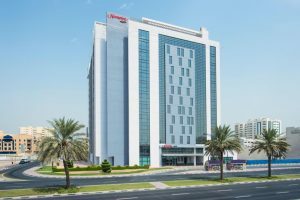 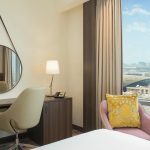 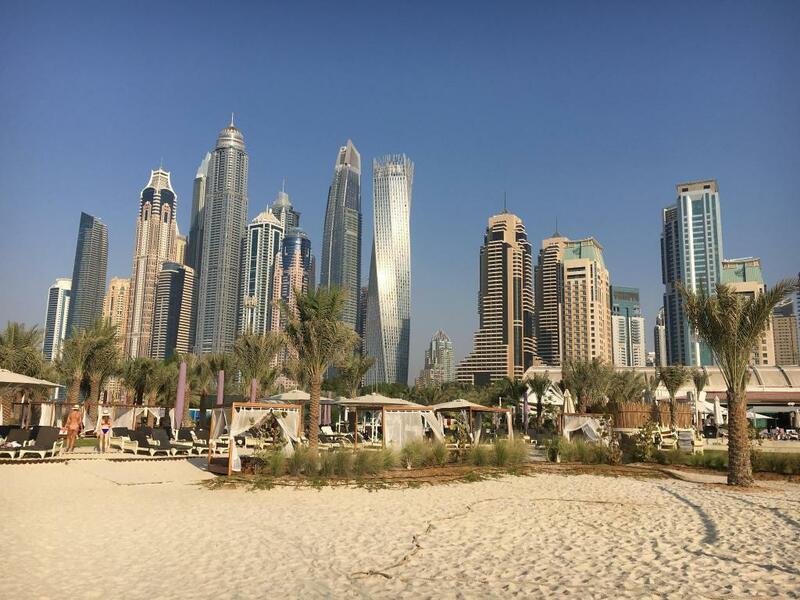 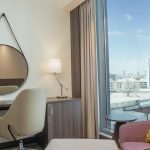 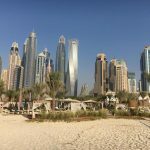 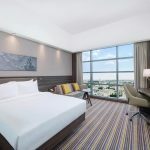 The Hampton by Hilton Dubai Airport offer easy access to all Dubai has to offer, including Dubai Festival City, Burj Khalifa, Dubai Mall and the Al Fahidi historic district.